Pulmonary edema is a common cause of hospital readmission among hemodialysis (HD) patients, according to researchers. 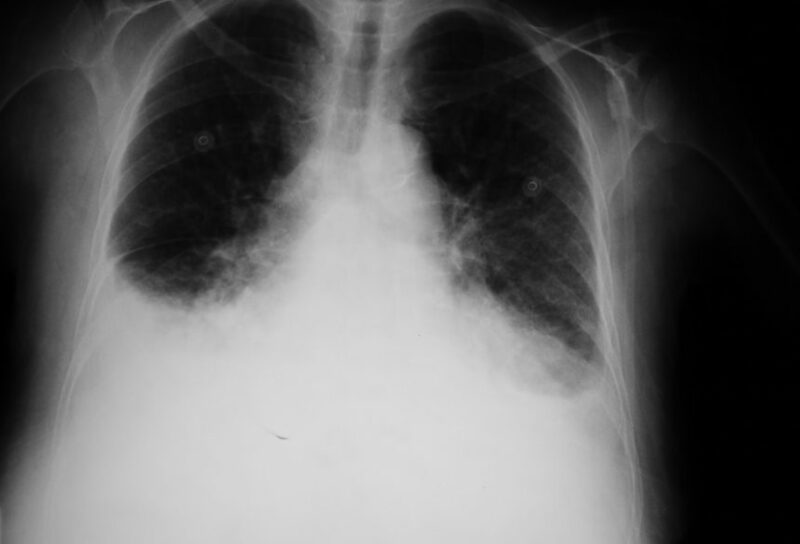 Initial hospitalization for pulmonary edema is associated with the greatest risk of being readmitted for the condition. In a retrospective cohort study of 215,251 US HD patients with index hospitalizations while under Medicare coverage from 2011 to 2013, a team led by Laura C. Plantinga, PhD, from the Rollins School of Public Health at Emory University in Atlanta, found that 44% of readmissions were related to pulmonary edema. The investigators defined readmissions as admissions occurring within 30 days of the index discharge and pulmonary edema-related readmissions as readmissions with discharge diagnoses of fluid overload, heart failure, or pulmonary edema. Index admission related to pulmonary edema was the strongest predictor of pulmonary edema-related readmission, increasing the odds of pulmonary edema-related readmission by 2.3-fold compared with index admissions not related to pulmonary edema, Dr Plantinga and her colleagues reported online ahead of print in Nephrology Dialysis Transplantation. Dialysis vintage less than 1 year, chronic obstructive pulmonary disease, dialysis non-compliance, and congestive heart failure (CHF) were associated with 18%, 34%, 53%, and 85% greater odds of pulmonary edema-related readmission, respectively, compared with the absence of these factors. “In general, our results suggest that index admission characteristics are more predictive of pulmonary edema-related readmissions than patient characteristics, which is consistent with prior work on all-cause readmissions in this patient population,” the authors stated. Dr Plantinga and her colleagues noted that pulmonary edema, which is observed in the setting of CHF or fluid overload after missed dialysis sessions, dietary indiscretion, or inadequate prescribed dry weight, is common in dialysis. They cited a study published in the Clinical Journal of the American Society of Nephrology (2010;5:1054-1063) showing that 14% of HD patients experienced at least 1 treated pulmonary edema episode over a mean follow-up of 2 years, with more than 86% of episodes treated in the inpatient setting. Various investigators have reported that dialysis providers could help reduce the risk of readmission due to pulmonary edema by more rapid acquisition and review of hospital records for patients returning to dialysis facilities, reassessment of dry weight, and reconciliation of medications, Dr Plantinga’s team noted. Regarding study limitations, the investigators pointed out that their patient population included only patients with Medicare primary coverage and excluded patients more likely to readmitted as a result of enrollment criteria requiring a 60 admission-free lead-in and exclusion of patients discharged against medical advice. Consequently, their results may not be generalizable to the entire US HD population. Plantinga LC, King LM, Masud T, et al. Burden and correlates of readmissions related to pulmonary edema in US hemodialysis patients: a cohort study. Nephrol Dial Transplant. 2017; published online ahead of print.